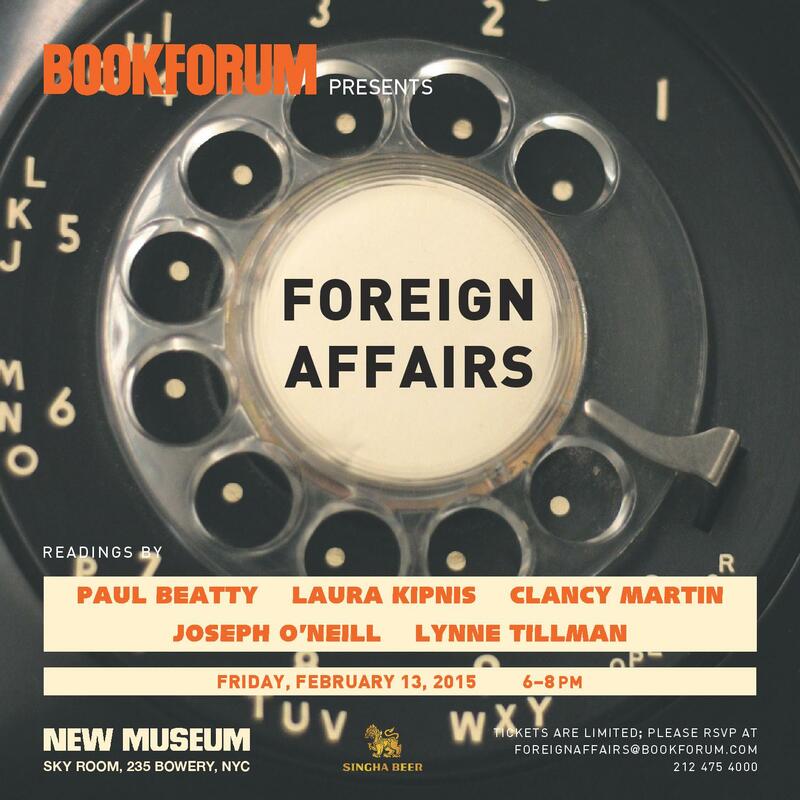 Join us for Foreign Affairs presented by Bookforum, is a literary event with readings by: Paul Beatty, Laura Kipnis, Clancy Martin, Joseph O’Neill, and Lynne Tillman, which will be taking place in the Sky Room at the New Museum, Friday, February 13th. While the event is free, seats are limited so we highly recommend that you RSVP. For more info, click here.